I love your layout! My girls get out of their paddock almost daily. I wake up shortly there after and am able to coral them back before too much damage is done. 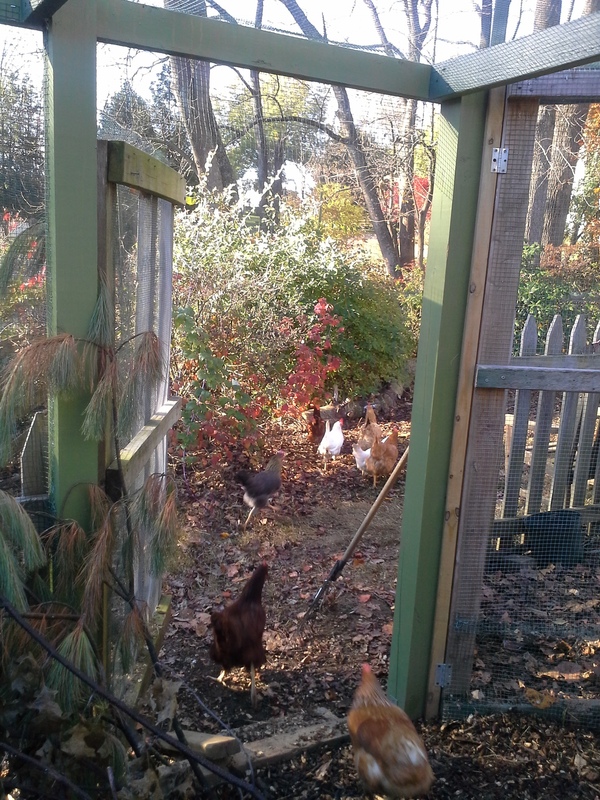 It’s funny you posted this, I just wrote a post last night about my coop and run. Check it out. I’m in San Diego, so it’s a bit more like a desert out here. Are you concerned about the weight of the snow bending and breaking the plastic corrugated portions of the roof? Hey James! 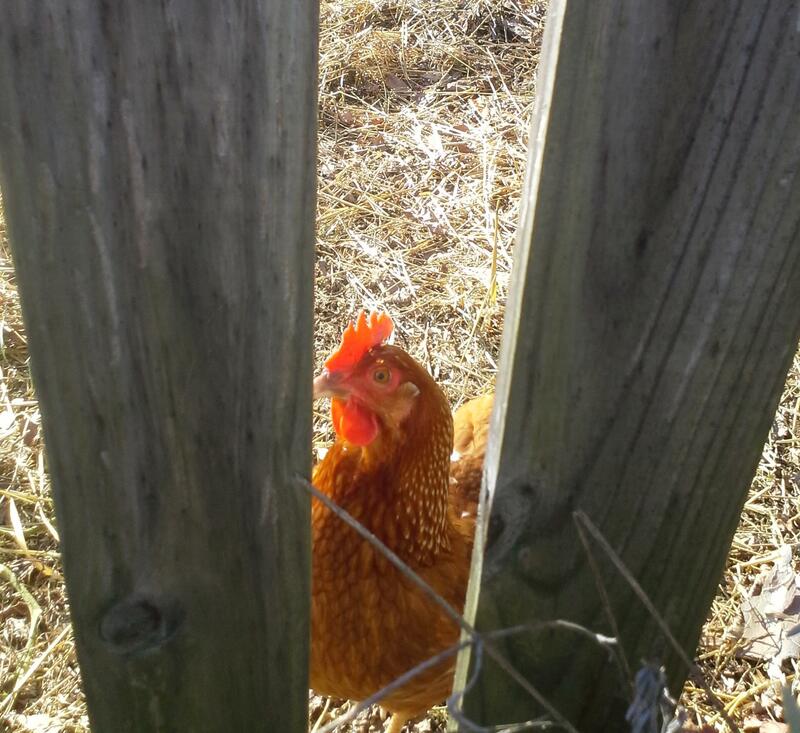 thanks for the feedback – I will definitely read up on raising chickens in San Diego. Under our plastic and metal corrugated we have 1/2 inch wire mesh, but since we wanted the water to run off my hubby propped them up at one end…and used wood braces… Short answer: we’ll see. 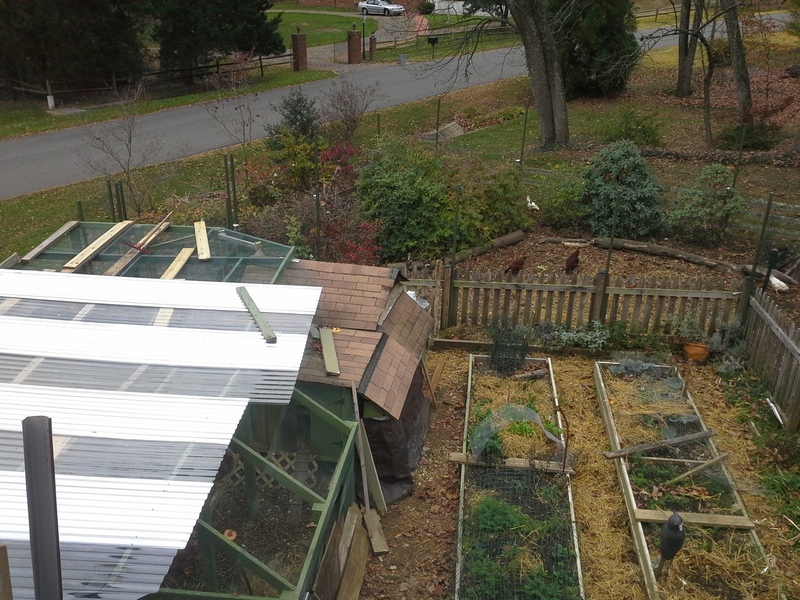 Has to be better than what i had last year – plastic sheeting. What a mess. Paddocks would be so much better if I had 6 of them – but the girls will have to touch it out. 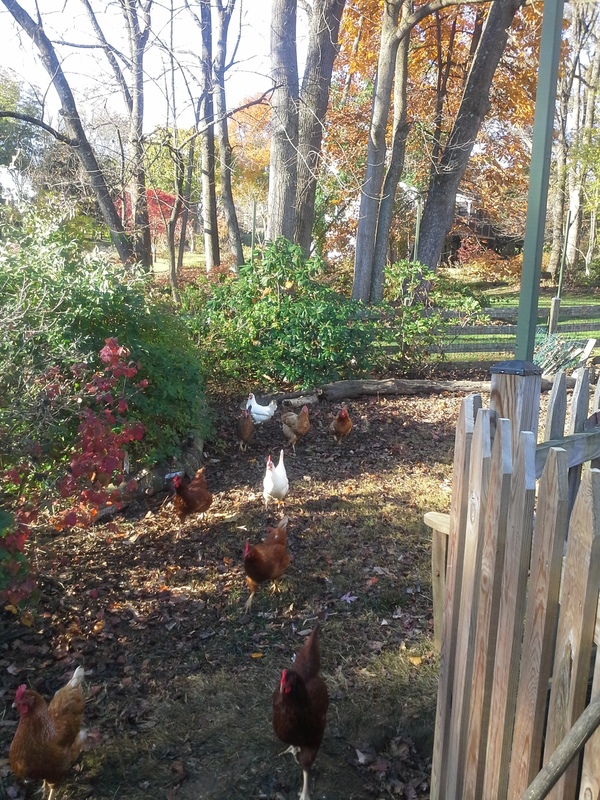 I am throwing my compost to them – and trying to build up compost piles and plan for “chicken gadrens patches” in advance oftheir arrival to a new area. Good luck with your tough weather out there! Not so much like drought now I guess?